Everyday electronic items are not just molded from plastic and metal and then shipped to the store for you to buy. Electronics include a huge array of circuits, transistors, resistors, capacitors, etc all arranged perfectly to work together. This specific field of electrical engineering allows devices like the cell phone to work for you when you need to make or receive a call, let you watch tv, or even know what time it is on your digital watch. 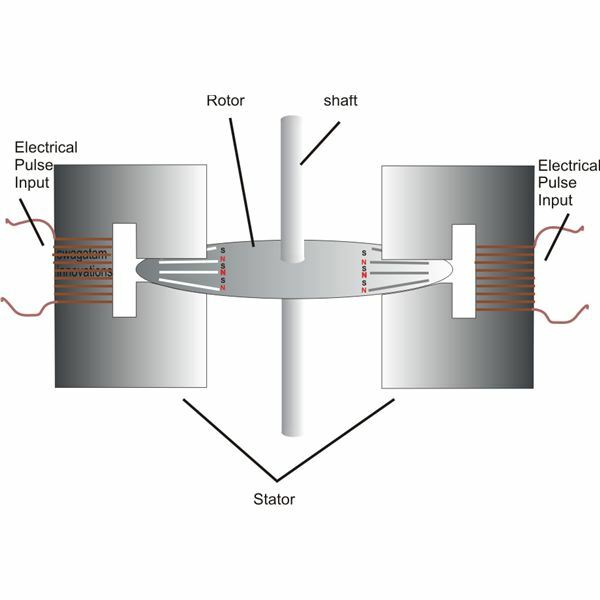 Electrical Engineering is also involves a study of various machines such as AC DC motors. These common devices are used for many purposes in industry as well as in the domestic sector. Learn about how they work, how they’re built and how they are used in our daily live. 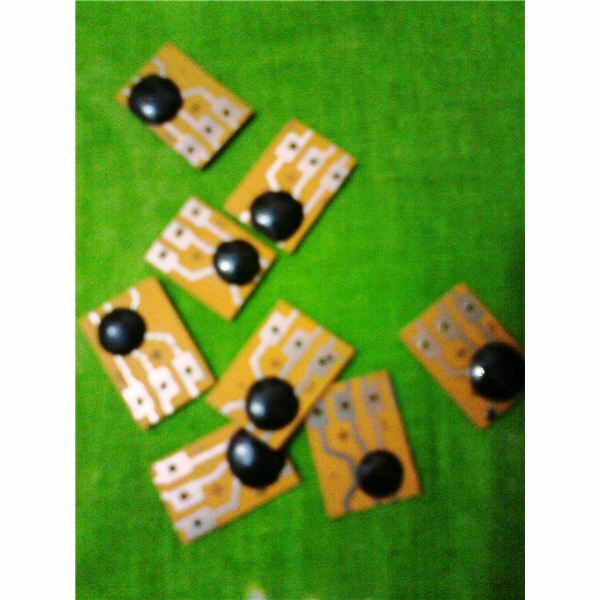 Once you understand basic circuit theory you can even start building your own electronic devices! Find instructions and guides here! 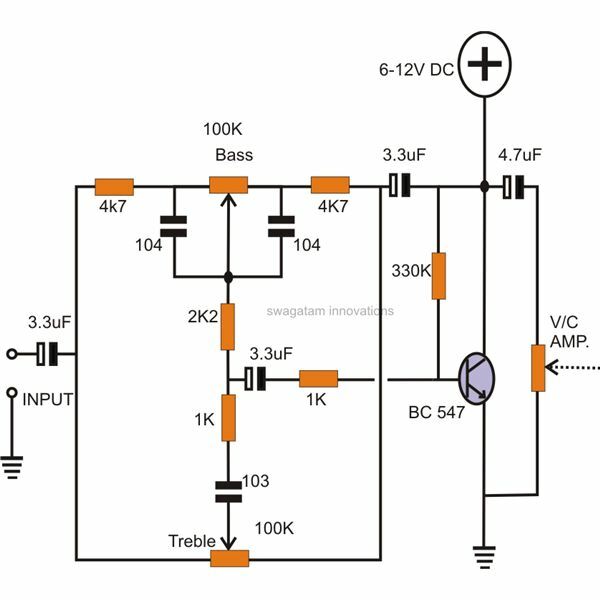 With monolithic linear ICs becoming commonly available, making monster power audio equipment at home has today become a child’s play. 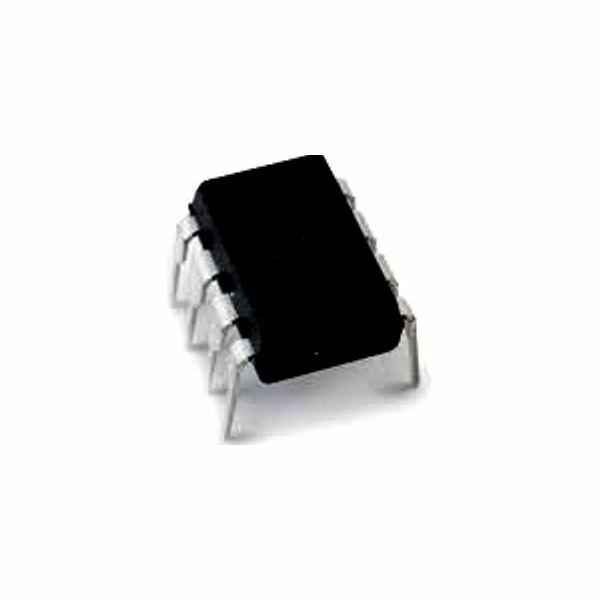 One such device STK4221 from SANYO can be simply used for different massive power audio amplifier applications. 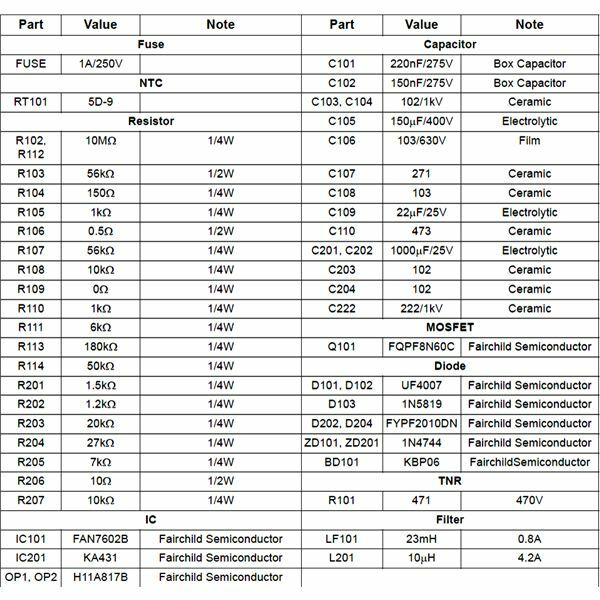 One sample circuit is discussed herein. 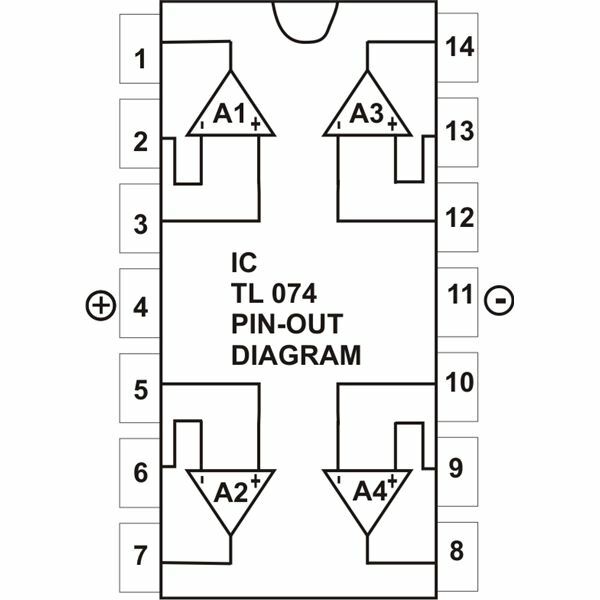 The IC FAN7602B from FAIRCHILD is equipped with features which enables a fail proof and an efficient SMPS circuit design for green current-mode converters applications. The article includes complete schematic as well the transformer winding details of the circuit. 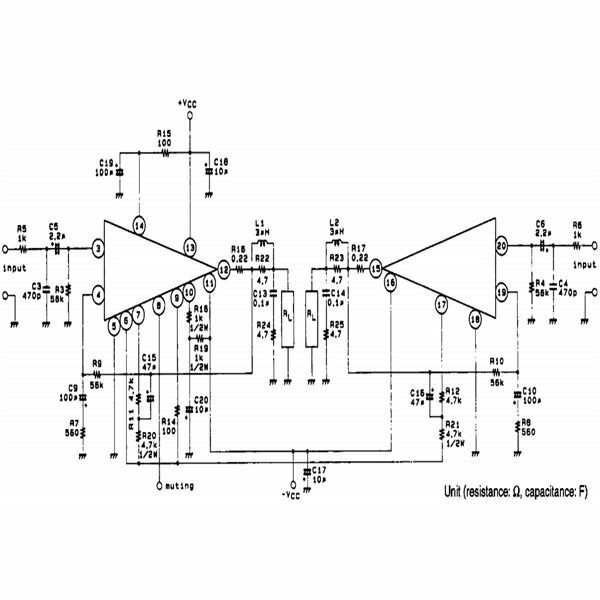 Ever wondered why only transistors are attributed with the property of current amplification? Basically it’s called the forward current gain or the hFE which is responsible for the amplification factor in transistors. Here, we discuss this in details and also learn how to build a hFE tester. 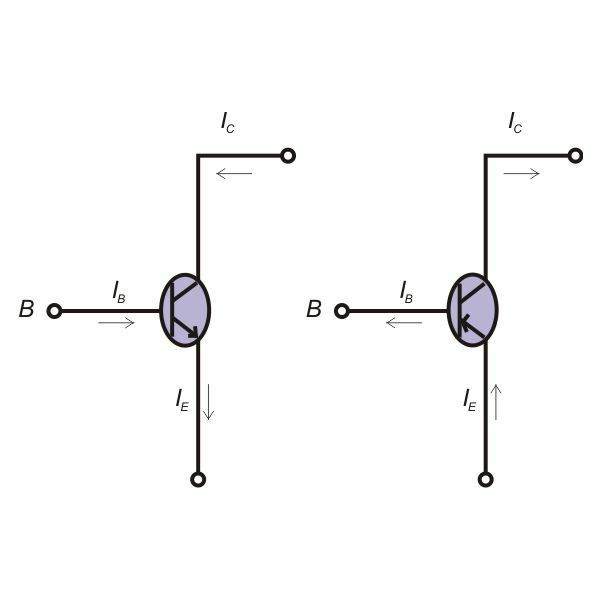 Bipolar junction transistors (BJTs) are probably the most extensively used devices in electronic circuits and within the ICs, and the most common configuration which are employed with them is the common-emitter mode. Here we find out how it’s evaluated using derived formulas and circuit diagrams. How to Calculate the Values of Current, Voltage, and Resistance in a Circuit? 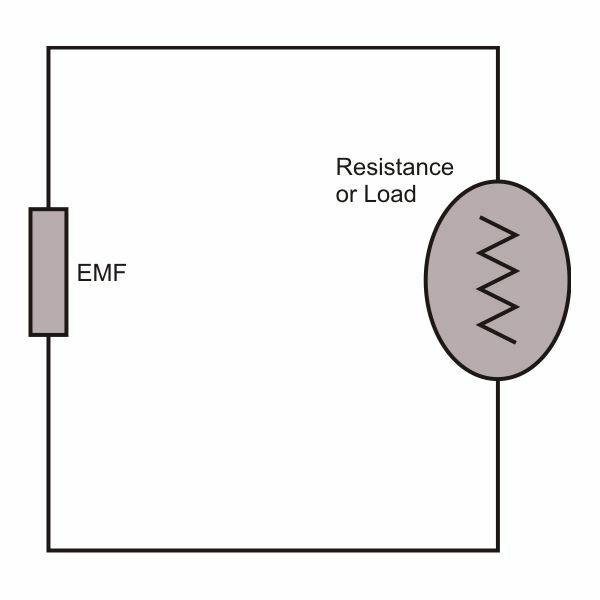 The article explains, through easy steps, methods of calculating the values of current, voltage, reactance, and resistance in electrical or electronic circuits which may involve capacitors, inductors, resistors etc. A bright shiny digital LED clock display over the wall would certainly help to enhance the beauty of your house, and what if this digital clock is built by you? Wouldn’t it simply glorify your efforts? 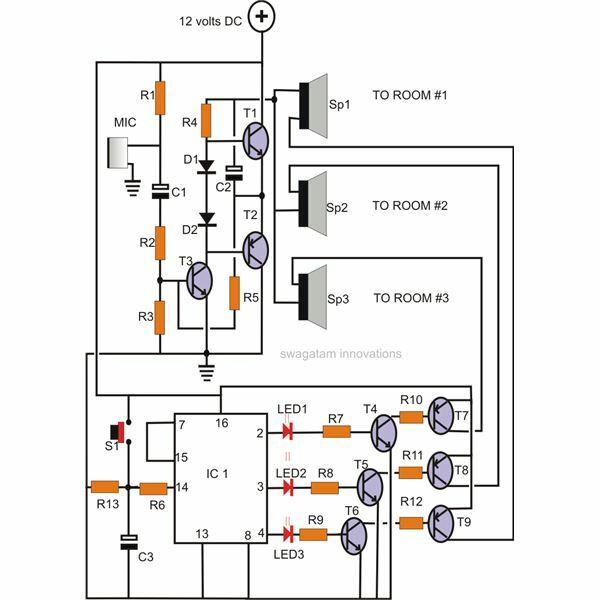 The entire building procedure of this digital clock is explained through circuit schematics. 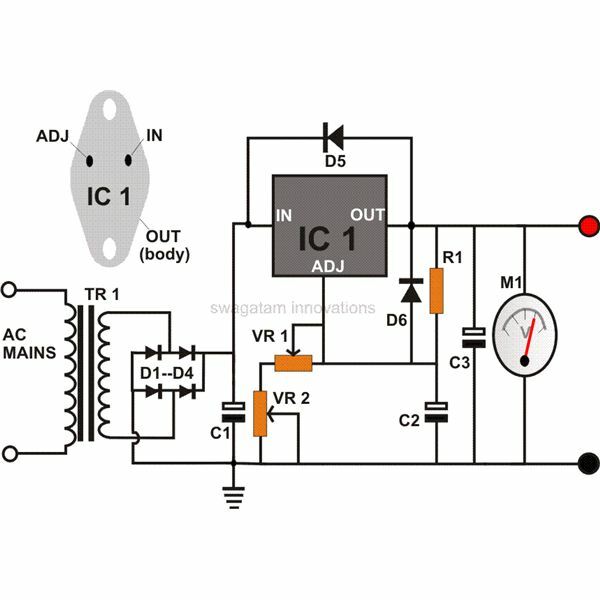 Normally, making a radio set at home may look quite a tedious affair due to the involvement of a high number of components; however a tiny candidate in the form of IC ZN 415 makes the procedures amazingly simple as it requires just a few ordinary parts for creating a complete radio. 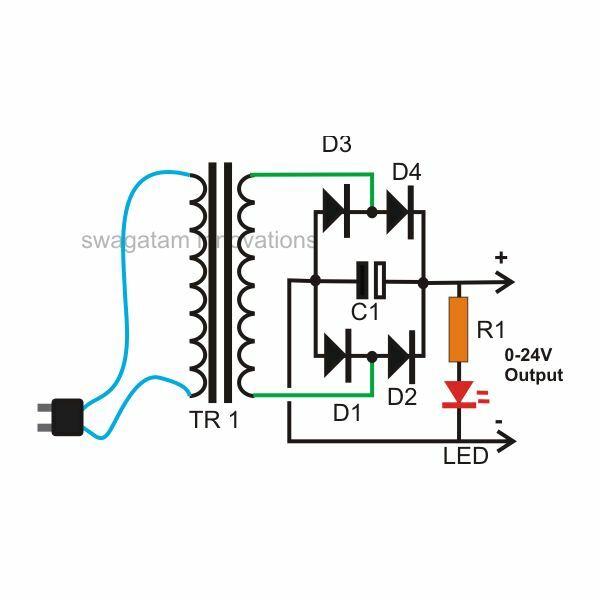 You may find this circuit idea very handy particularly while making small projects involving low power audio amplifiers like door bells, pocket radios etc. The use of the popular chip LM386 makes the procedure very simple as it requires only a few external parts to make the amplifier function. The article provides some easy clues regarding conducting house electrical wiring. A few important tips if followed correctly can make the procedures really simple and without complexities. 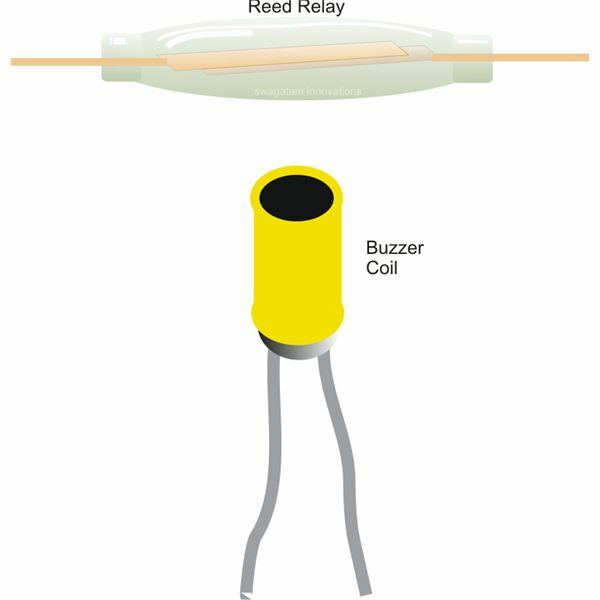 The article explains how to control the speed of a DC motor through a very straightforward and easy to build electronic circuit. The circuit utilizes just a single chip L165, making the control procedures rather simple to operate. 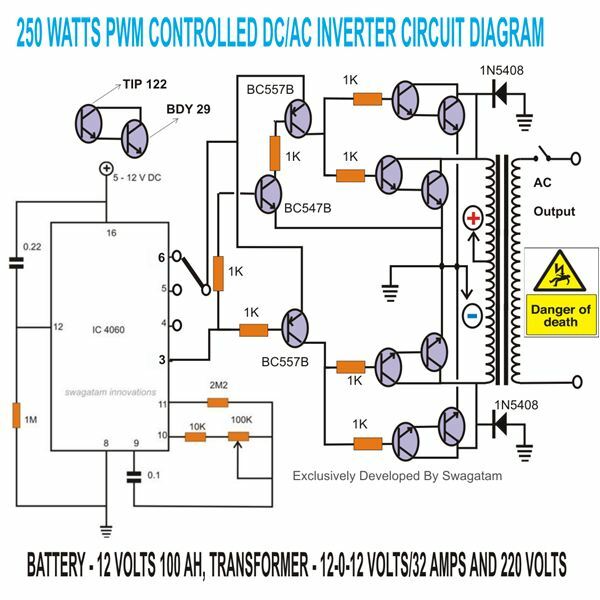 The proposed design of a 250 to 5000 watts PWM DC/AC 220V power inverter presented here is probably the most straightforward inverter design one can ever get, yet incorporates discrete PWM control features which enables the output square wave to be modified into some optimized waveforms. 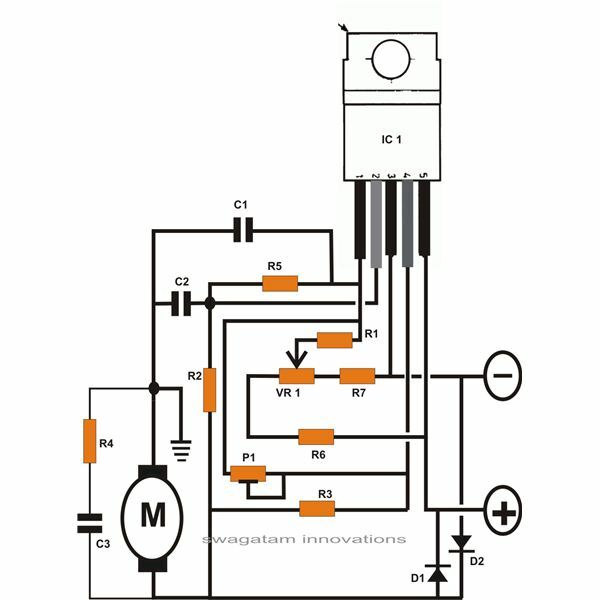 Although a bit elaborate, the proposed design of a musical doorbell circuit provides some useful features like a built-in timer and a pleasing, replaceable audible note. 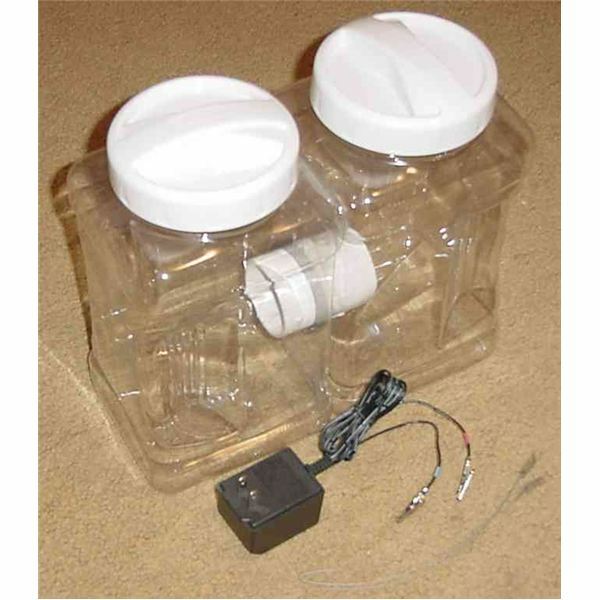 Moreover, unlike conventional units, the present design is highly reliable and permanent in its operation. 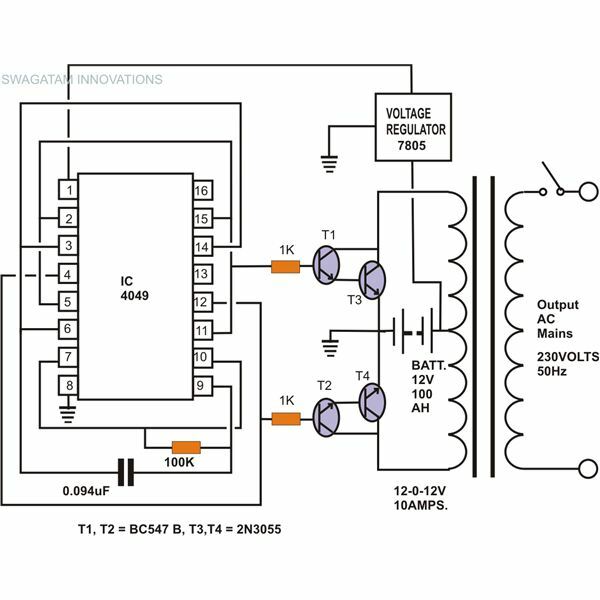 The simple schematic diagram of a smoke detector presented here utilizes the gas sensor TGS 813 as the main detecting component. 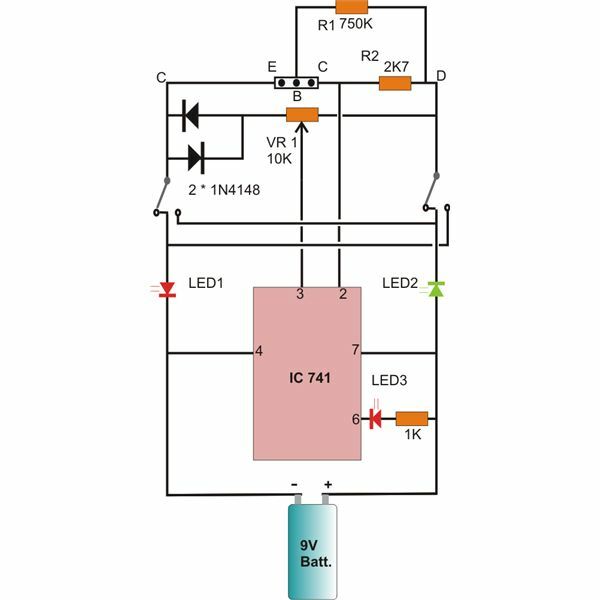 The circuit is pretty easy to build and performs useful fire hazard detection once installed into a possible fire prone zone. This little spy security gadget once installed over a door will faithfully sound an alarm whenever the door is opened, possibly by a trespasser. 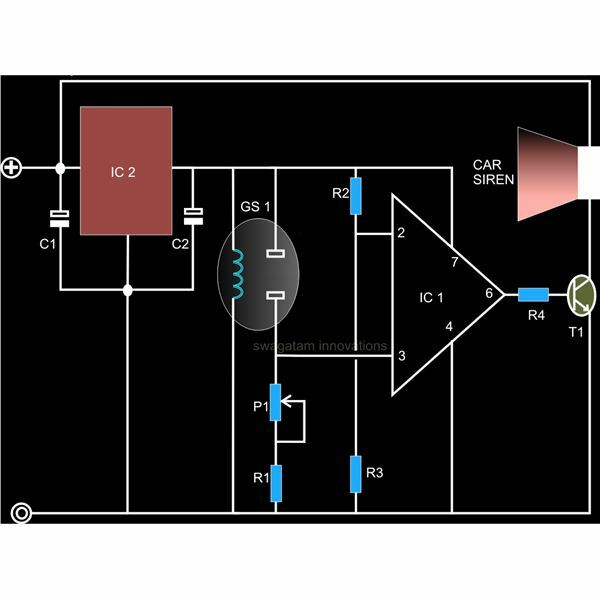 The entire circuit diagram and description of this home security gadget is discussed in the article. 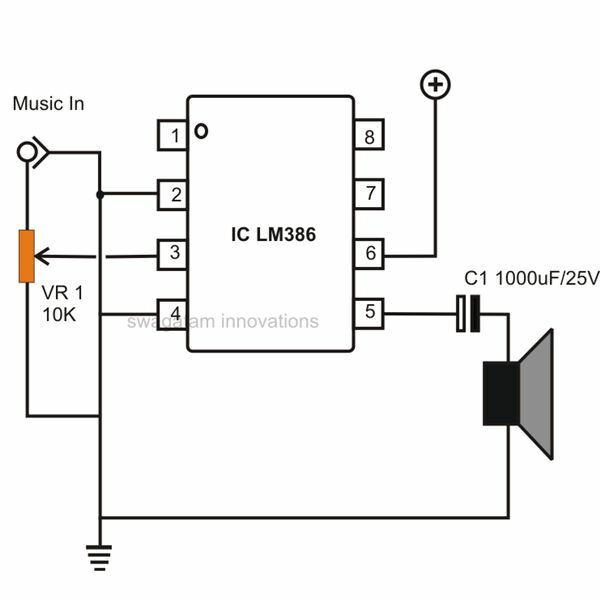 The excitement involved with hearing digital music outputs from an amplifier may be typically due to the presence of attached active tone controls with the unit. Here we learn how to make a tone control for stereo amplifier to get the desired enhanced musical effects. 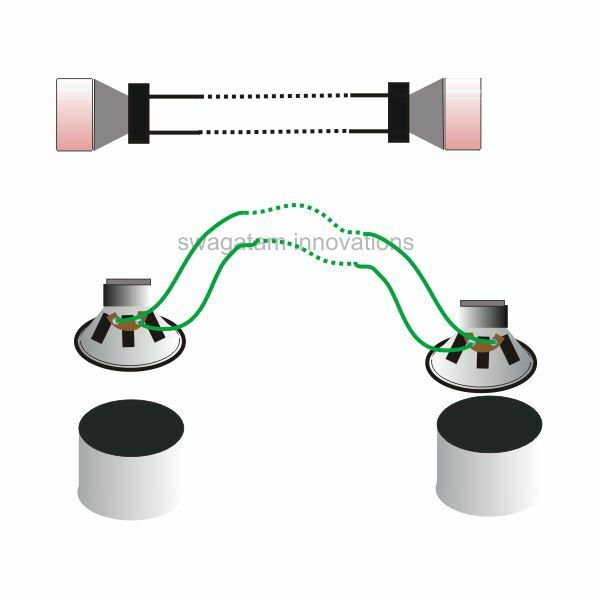 Stepper motors have become favorites of industry motor applications simply because these machines exhibit accurate responses to applied electrical pulses and there are easier to control. 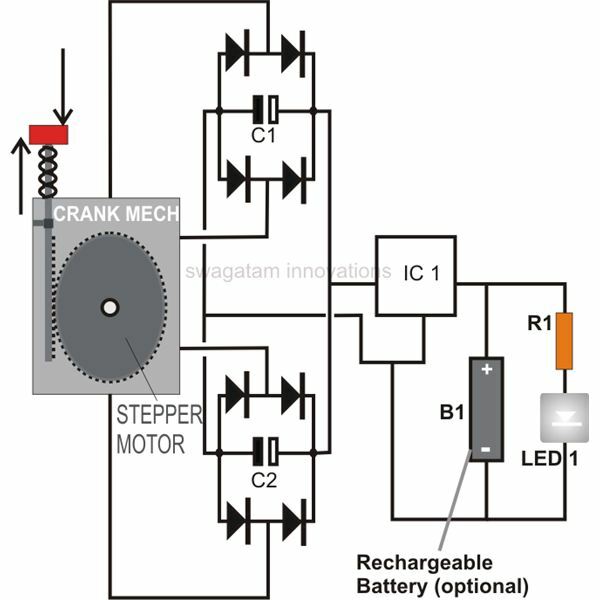 This article explains stepper motors, how they work, and the associated pros and cons of their use. 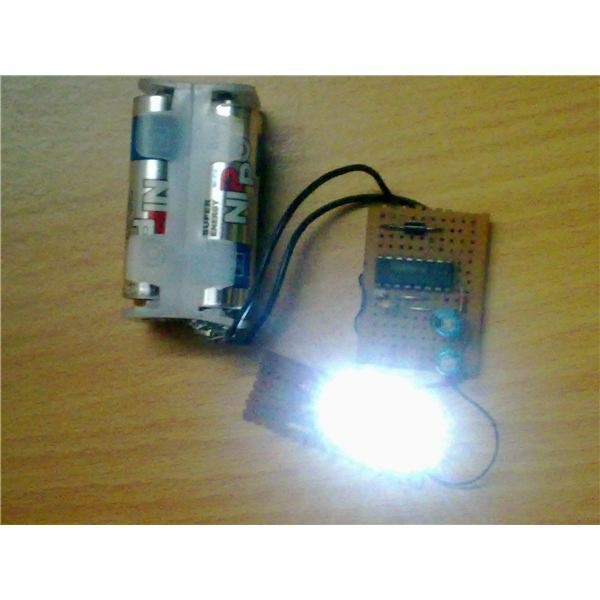 A hand operated flashlight does not need input from sources like wind or sun in order to generate electricity. Just pressing a spring-gear mechanism is enough to make the device “pump” electricity that can be used for activating an output load. This little home communications system can be used to talk across different rooms or locations within a large premise or an apartment. 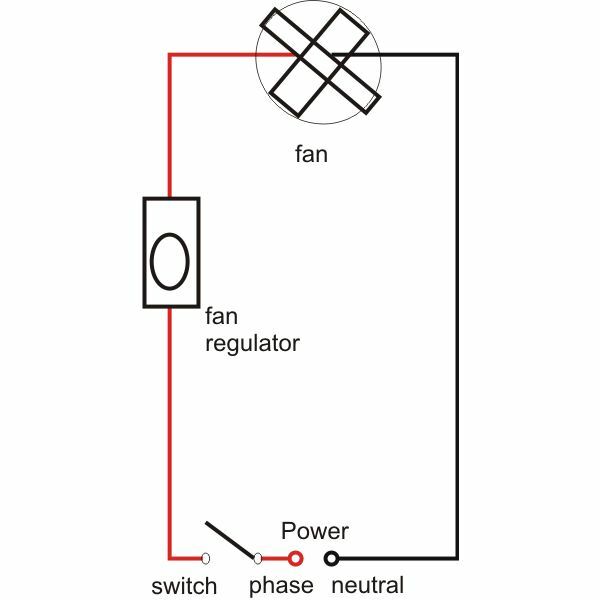 Build your own following these instructions and circuit schematic. 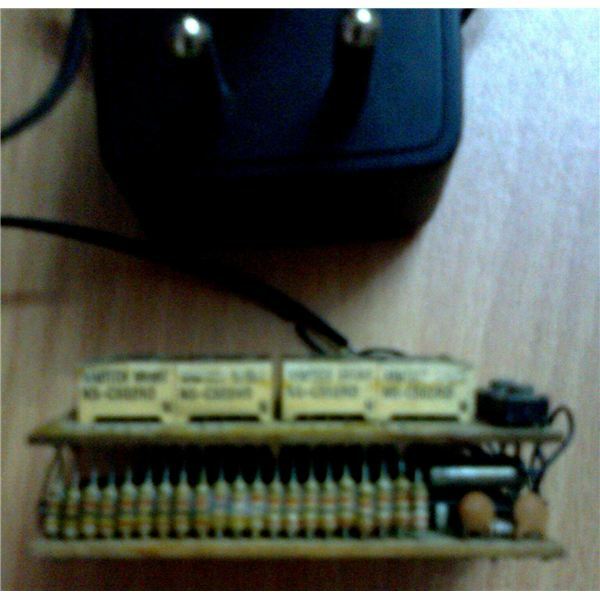 Found an old TV transformer in your electronic junk box and thinking of building a 24 volt AC to DC 20 amp transformer? Just add some diodes, filter capacitor, LED, mains cord, etc. – join them- and your homemade converter is ready to use. This toy telephone uses a couple of radio speakers and connecting wires. An update to the string-and-can telephone, this project can be amusing, and educational, too.